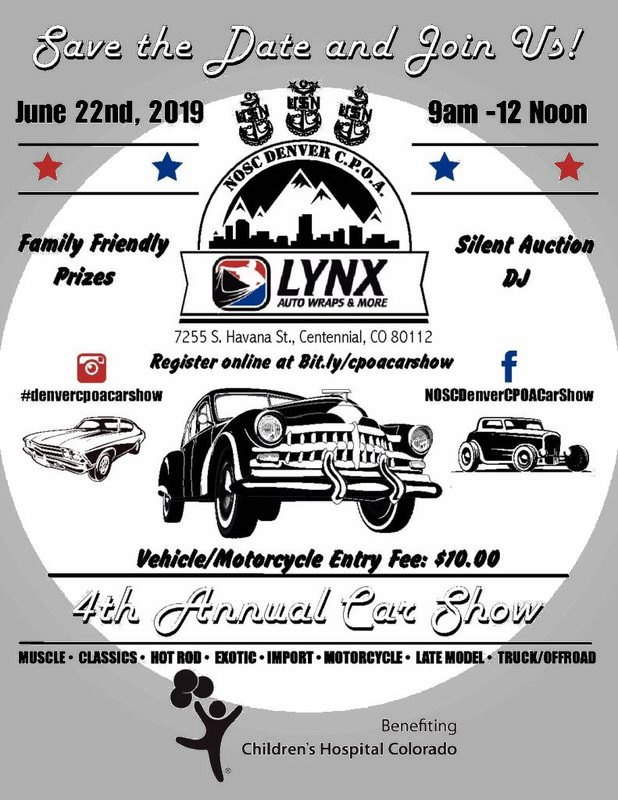 Lynx Auto Wraps & More is proud to host the 4th annual Denver Navy Chief’s Charity Car Show of behalf of the Children’s Hospital Charity. Join us June 22nd 2019 for the amazing event! There will be show car awards, silent auction, and celebrity appearances! Special Thanks to the Denver Navy Chiefs Organization and all of the car clubs that come out in support. 2019 will be the biggest year yet, and we are honored to host this special event at our location. 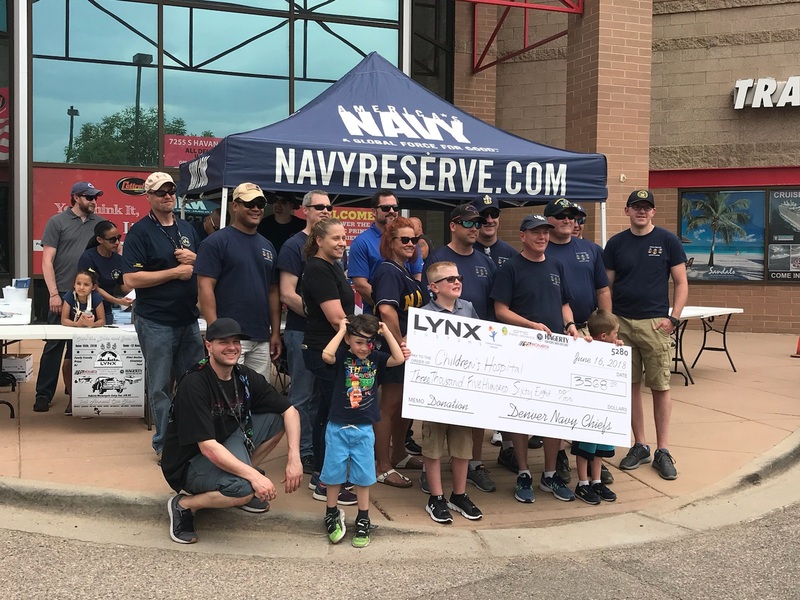 Denver Navy Chiefs and Lynx Auto Wraps & More Team up to present a yearly car show and donate 100% of the proceeds! WIth over $10,000 raised, we are proud to support the Children’s Hospital Charity!